In the 12th episode of Good Eats, Alton educates the viewer on all things rice. He talks about the many types of rice, how they differ, how to store them, and how to cook them. Did you know you should not store brown rice at room temperature? The oils in brown rice can turn rancid at room temperature, producing off-flavors. Instead, you should store it in an airtight container in the freezer. There is only one recipe in this episode, and it is for Rice Pilaf. 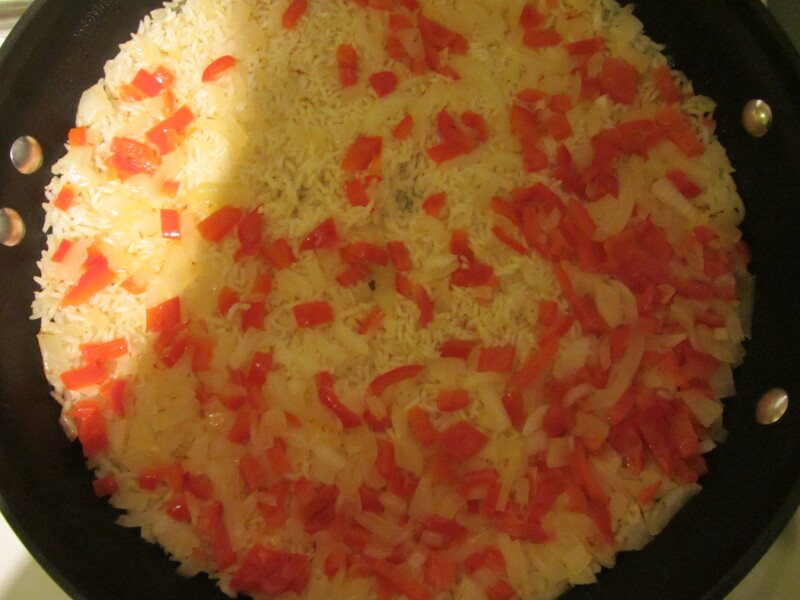 We eat a fair amount of rice in our house, but I honestly do not know if I had previously made a rice pilaf. For this recipe, you steep some saffron threads in warm water while you prep the rest of the dish. 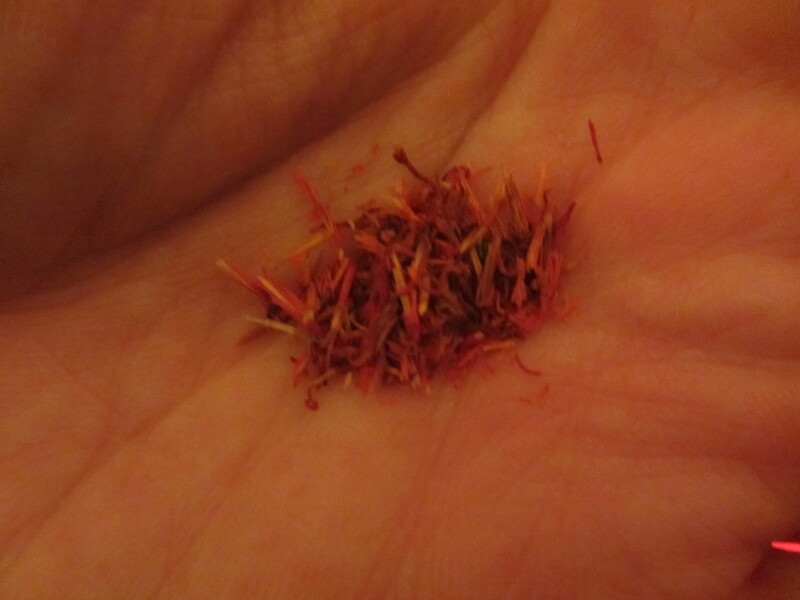 I did not have any saffron, but I was able to borrow some from my parents. 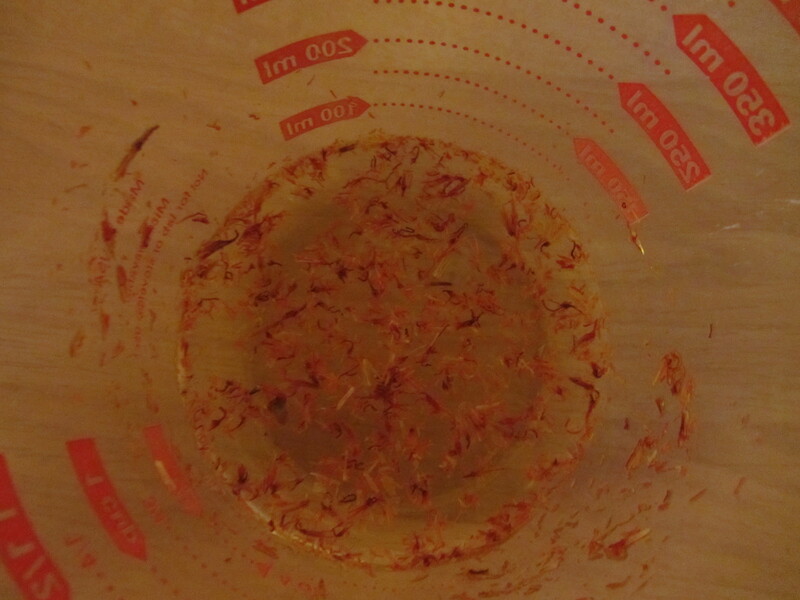 Steeping saffron in warm water. 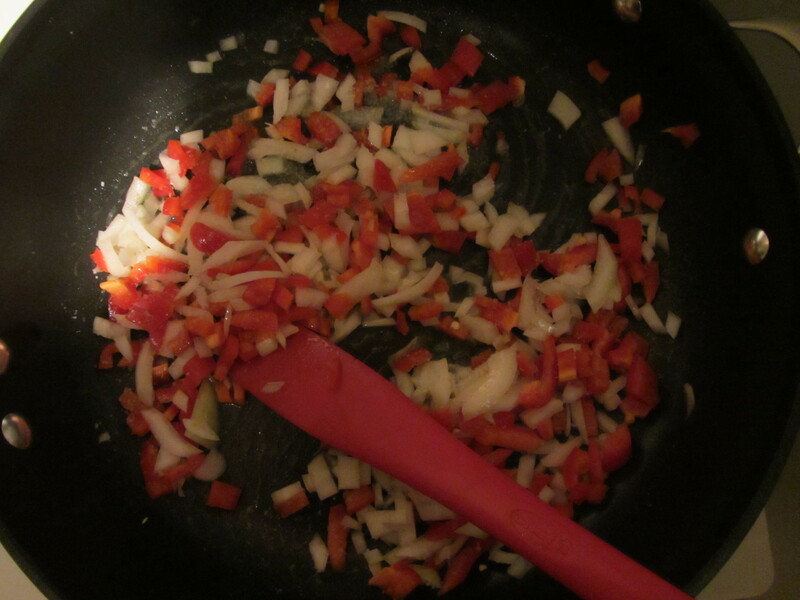 You melt some butter in a heavy oven-safe pan that has a lid, and you cook some onion, red bell pepper, and Kosher salt until the vegetables are tender. 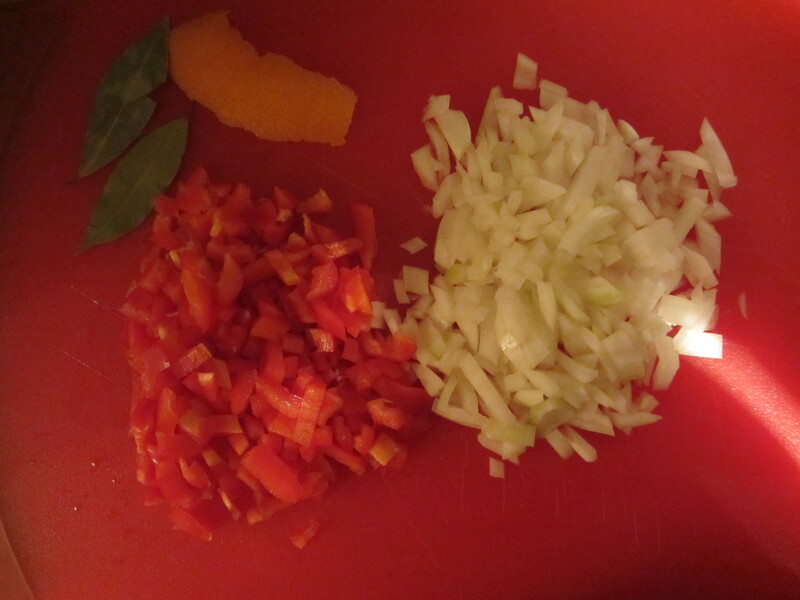 Onion, bell pepper, orange zest, and bay leaves. 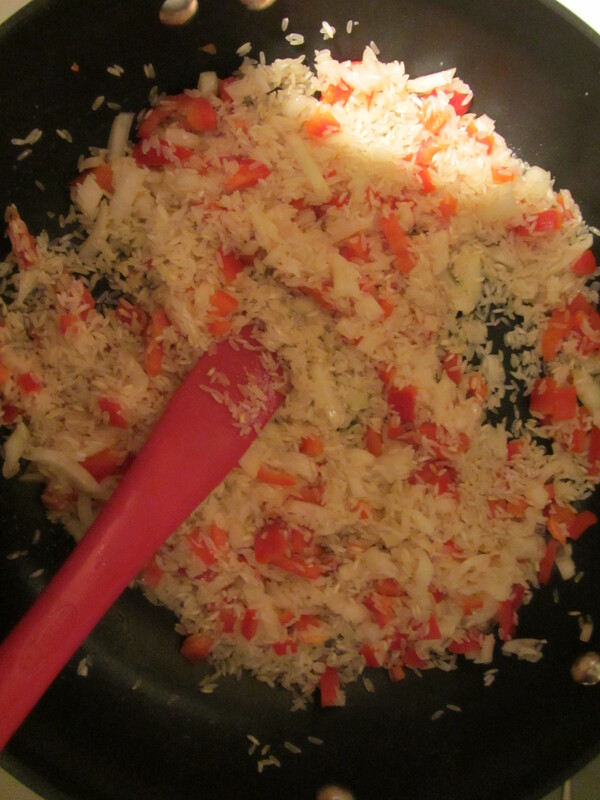 To this vegetable mixture you add long grain rice, stirring it until it has a nutty aroma. This step reminded me of how you start a risotto. Stirring the rice until it has a nutty aroma. Once aromatic, you add chicken broth, a strip of orange zest, two bay leaves (the online recipe calls for one), and the saffron water. 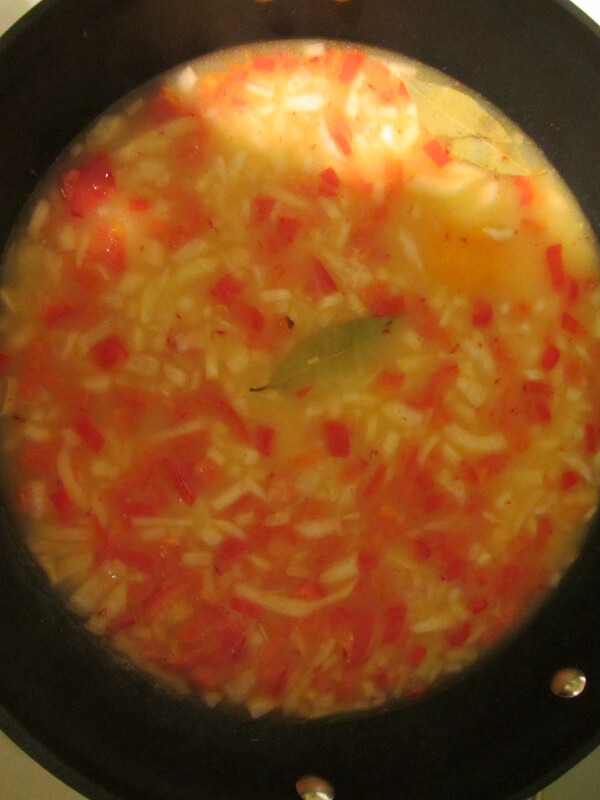 The saffron is used to add both color and flavor to the pilaf. You also want to add Kosher salt at this point, until your cooking liquid has the flavor of sea water. Alton insists that you stir the pilaf only once, and then allow it to come to a boil. All of the ingredients in the pan. 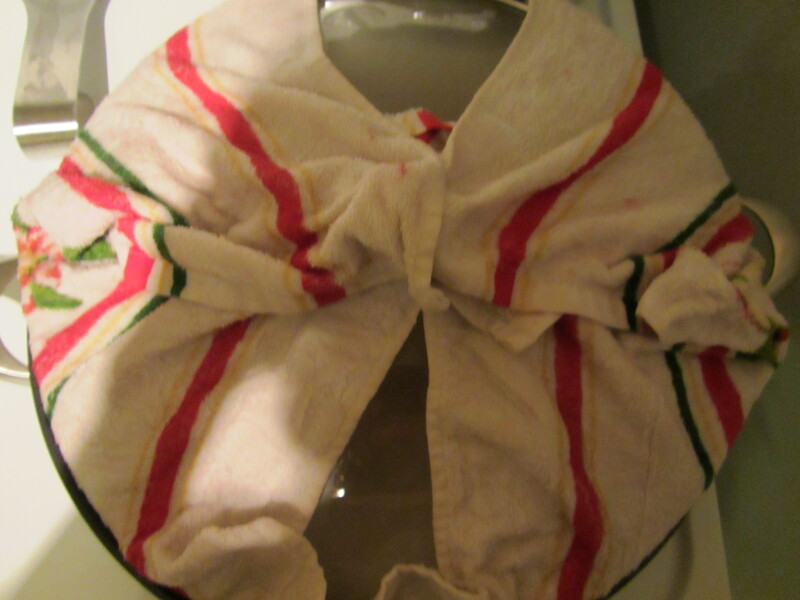 Once boiling, you cover the pan with a damp towel and the pan’s lid, folding the corners of the towel up onto the top of the lid. 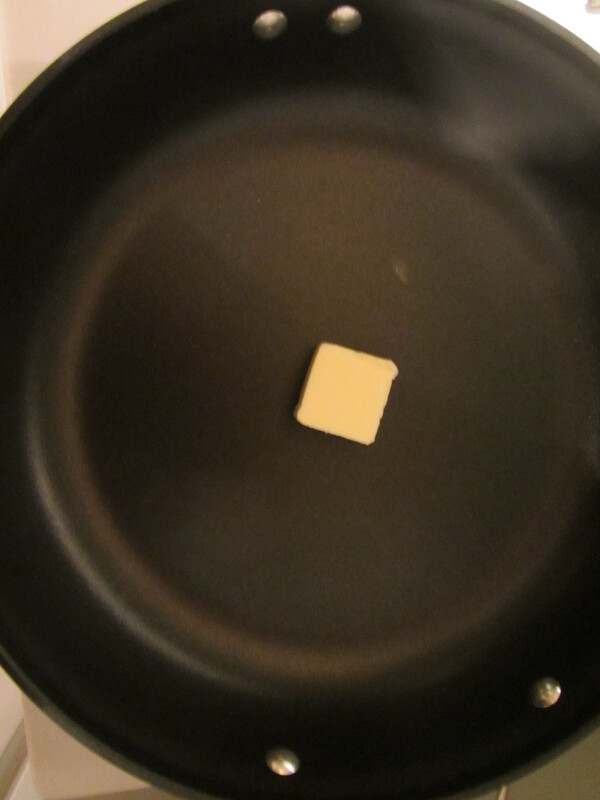 The pan goes into a 350 degree oven for 15 minutes. Pan covered with damp towel before going into the oven. Once out of the oven, Alton says the pan must rest, covered, for 10-20 minutes. This is an important part of the process, as the rice continues to cook. 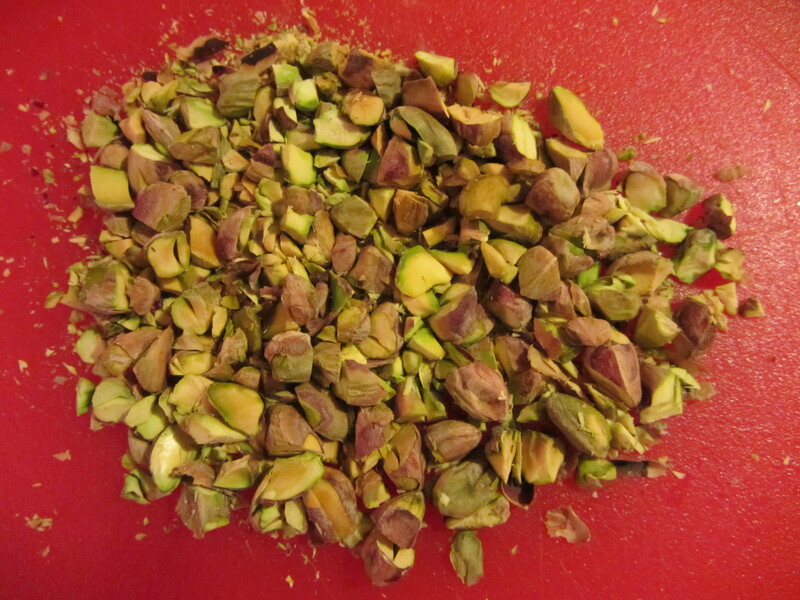 While the rice rests, you prepare some add-ins for the final pilaf: green peas, golden raisins, and chopped pistachios. Once the resting period has completed, you turn the pilaf out onto a serving platter, add the add-ins, and fluff the pilaf with a fork. Pilaf after resting for 15 minutes after baking. Finished pilaf with peas, golden raisins, and pistachios. 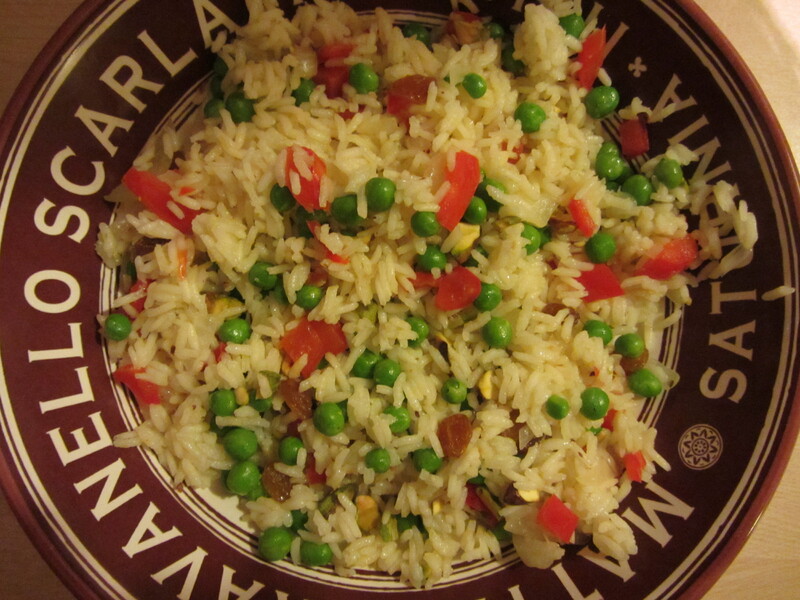 We ate our pilaf as our dinner entree, and we thought it was pretty tasty. The pilaf was nice and fluffy, as opposed to some “gummy” pilafs I have had in the past, and the rice had an “al dente” texture. I think our saffron was a bit older, as my pilaf did not have as much color as Alton’s did, but it still had a yellow hue, which made the dish more attractive than plan white rice. I really liked the contrasting textures in the dish – the al dente rice with the chewy raisins, popping peas, and crunchy pistachios. It was also quite flavorful. Though not a complete standout to me, this was an easy, successful dish that I may do again.